If you’re single and looking to mingle, common wisdom suggests you should head to a big city, embrace the nightlife, and start swiping right on your dating app of choice. However, that doesn’t necessarily have to be the case. Love is in the air and it’s everywhere! That’s why we’ve crunched the numbers to determine the five best cities for singles in Australia. Using data from Numbeo as well as the latest Census results, we analysed Australian cities based on the average price of a meal for two, the average price of coffee, the average price of a movie ticket, the average price of a gym membership, the average monthly rent for a one bedroom inner-city apartment, the average monthly income, and, most importantly, what percentage of the population is single. Using this data, we then determined the five best cities for singles in Australia. Cairns is the best city for singles in Queensland, and it’s easy to see why. Firstly, according to 2016 Census data, 42.8% of people in Cairns are single, at an almost equal ratio: 49.7% of women and 50.3% of men. Basically, the tropical temperatures aren’t the only thing that’s hot in Cairns if you’re single and looking for love. Plus, all the fun stuff like movie tickets and gym memberships are cheaper than the Australian average at $16.90 and $52.40 respectively. The average monthly salary in Cairns is also very alluring at $3803.70, while the average monthly rent is $1,182.55. All of these numbers add up to one certainty: Cairns + singles = yes please. Cairns is a tropical paradise, and now, it’s officially a single’s paradise too! The best city for singles in Victoria, Bendigo has everything you could want and a little bit more. Melbourne may be famous for its coffee, but Bendigo earns top spot when it comes to coffee prices. At an average price of just $4.14 for coffee, be prepared to go on plenty of coffee dates. In terms of affordability, Bendigo also ranks highly, with average rent prices of $1,100 for a one bedroom inner-city apartment and an average monthly salary of $3,333.33. In other words, you’ll have plenty of spare cash for things like a gym membership (average monthly price of $48), where you can finally make your daydreams come true and meet your ideal partner. Movie tickets and a meal for two are also ultra-affordable, with average prices of $17.00 and $88.50, respectively. Trust us, the second you set foot in Bendigo, it’ll be love at first sight! Not only is Hobart a great city for singles, it’s also a foodie’s dream. What’s better than a romantic dinner for two? A romantic dinner for two that doesn’t cost a week’s wages. With that in mind, Hobart offers the best price for a meal for two of any city on this list at just $72.50. If you want to follow that delicious, romantic dinner with a coffee, that will only cost you $4.45 on average, making Hobart equal second in terms of coffee prices. Hobart is also eminently affordable for singles, with an average monthly rent price of $1183.25 for a one bedroom inner-city apartment and an average monthly salary of $4,149.20. This equates to spending just 28.2% of your monthly salary on rent. The rental prices aren’t the only things that are attractive in Hobart, either, as 43.8% of the population are also single, according to 2016 Census data. So, prepare to fall head over heels for Hobart! If you’re single and looking to meet that special someone, there’s a lot to like about Newcastle. First things first, Newcastle has the largest population of singles of any city on this list (48.4%), proving the old adage that there really are plenty of fish in the sea. Elsewhere, there’s good news and bad news. The bad news is that monthly rent prices are slightly higher than average in Newcastle at $1,420 for a one bedroom inner-city apartment. However, this is well and truly offset because the average monthly salary in Newcastle is a whopping $5,220 – $1,000 more than any other city on this list. That means you’re only spending 27.2% of your monthly income on rent. If you’re a film buff, you’ll feel right at home in Newcastle, as the average movie ticket costs just $12, while the average monthly cost of a gym membership is $53.50, which is in line with other cities. Coffee prices are lower than average in Newcastle at $4.45, while a meal for two might hit your wallet slightly harder at $100. However, the way we see it, this presents a great opportunity to cook a romantic, homemade meal for your soon-to-be significant other! Move over Melbourne and say sayonara Sydney, because Coffs Harbour is officially the number one city for singles in Australia! Let’s start with the important stuff. According to 2016 Australian Census data, 48.1% of Coffs Harbour residents are ‘not married’ (a.k.a single), with a population ratio of 52.5% females to 47.5% males. In other words, there are heaps of eligible bachelors in Coffs Harbour. 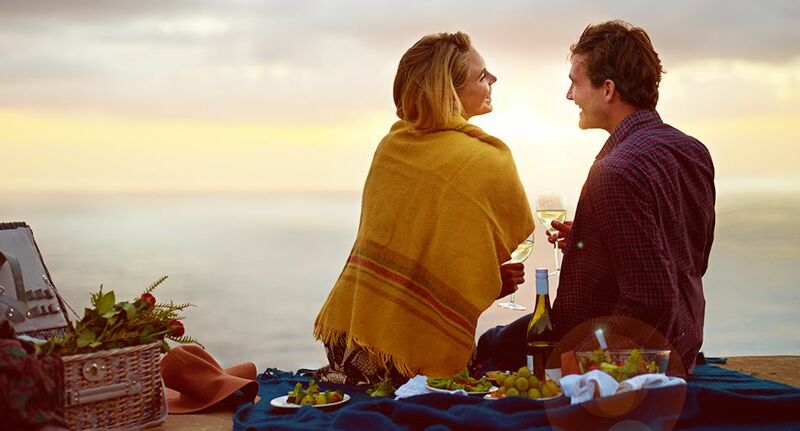 What else makes Coffs Harbour the best city for singles in Australia? Well, the average monthly salary is $3,641.50, while the average monthly rent for a one bedroom apartment in the city centre is extremely affordable at just $976.67. That means rent in Coffs Harbour is more than $100 lower per month than any other city on this list, which adds up to spending only 26.8% of your monthly salary on rent – again, the lowest percentage of any city on this list. In other words, you should have plenty of spare cash to splash on fun, frivolity, and hopefully plenty of dates. Additionally, the average monthly cost of a gym membership is only $30 (you guessed it, the cheapest of any city on this list), so you have no excuse not to be in the shape of your life on your quest for love. The average cost of a meal for two in Coffs Harbour is $80, while movie tickets are just $16.50 (*cough* date idea *cough*), and Coffs Harbour coffee costs $4.57 on average.